Now it just needs President Trump’s signature. 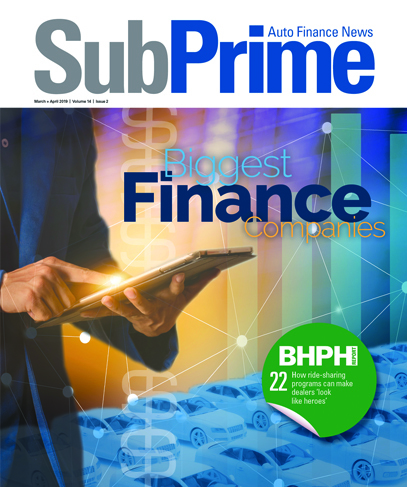 Much to the delight of industry leaders, the U.S. House of Representatives voted on Tuesday to repeal the Bureau of Consumer Financial Protection’s controversial 2013 guidance on indirect auto financing. The House approved S.J. Res. 57, which would overturn the much-criticized guidance document under the authority of the Congressional Review Act, by a bipartisan 234-175 majority. The Senate had already passed the joint resolution on April 18 by a 51-47 margin. “The CFPB’s 2013 indirect auto lending guidance was a harmful, ill-advised solution that purported to solve the problem of a disparate impact theory that only existed in some mythical CFPB fairyland,” National Independent Automobile Dealers Association chief executive officer Steve Jordan said. “The reality is automobile dealers had a rich history of using indirect lenders to provide financial transactions in the best interests of the driving public long before the CFPB decided to interfere. NIADA is thrilled Congress has removed the CFPB from that equation,” Jordan continued. The guidance, issued in March 2013, claimed dealer discretion on interest rates creates a “significant risk” of unintentional disparate impact discrimination and spelled out the bureau’s intention to pursue enforcement actions on that basis. “This vote indicates that American consumers have spoken to their elected representatives to say they want competitive pricing on vehicle loans,” said Chris Stinebert, president and CEO of the American Financial Services Association, a trade association representing vehicle finance companies. “We are an industry that competes for consumers’ trust as well as their business while helping them acquire vehicles that support their transportation needs,” Stinebert continued. AFSA explained The CFPB’s vehicle finance lending policy, issued through guidance, directed fundamental market changes to the industry, which was already regulated by other federal agencies and state laws and regulations. AFSA added the guidance was issued without any public comment, consultation with other federal agencies or transparency. Its repeal will once again allow dealers to set contract terms and rates for third-party financing without being subject to CFPB enforcement. “Today’s action furthers the bipartisan effort that began more than five years ago to preserve the ability of local dealerships to offer discounted auto loans to their customers. We commend House Financial Services Committee Chairman Jeb Hensarling (R-Texas) and Rep. Lee Zeldin (R-N.Y.) for their leadership on this issue. As the measure has now cleared Congress, we look forward to the expected signature by the president,” National Automobile Dealers Association president and CEO Peter Welch said. “The joint resolution is a measured response to the CFPB’s attempt to avoid congressional scrutiny by issuing ‘guidance’ that imposed a new policy without necessary procedural safeguards. Enactment of S.J.Res. 57 will help ensure every consumer’s right to get a discounted loan in the showroom,” Welch continued. “Every customer deserves to be treated honestly and fairly when purchasing or financing a car or truck, and there is no room for discrimination of any kind, period. We continue to encourage all local dealerships to take up NADA’s voluntary fair credit compliance program, which is based on a U.S. Department of Justice model. It helps eliminate fair credit risk in auto lending while ensuring a competitive marketplace,” Welch went on to say. Critics have pointed out the CFPB’s theory is based on shaky methodology for determining disparate impact, and the guidance was put in place without comments from stakeholders, public hearings or studies of its effect on the cost of credit to consumers. “Without seeking any public comment or studying the impact on consumer credit,” NIADA senior vice president of legal and government affairs Shaun Petersen said, “and with no evidence to back up its claim, the bureau issued a rule under the guise of guidance to limit dealers’ ability to meet their customers’ needs when shopping for credit. “We applaud Congress for taking steps to rescind the bureau’s overreach,” Petersen added. The resolution followed a December opinion from the Government Accountability Office that defined the guidance document as a CFPB rule for the purposes of the CRA, which meant it could be struck down by a simple majority vote of both houses of Congress. The (AIADA) today applauded the United States House of Representatives' passage of a joint resolution annulling the Consumer Financial Protection Bureau's controversial auto lending guidance, which sought to limit a consumer's ability to receive a discounted auto loan from a dealer. The resolution, already passed by the Senate, will now go to President Trump's desk for his signature. “Today’s vote by the House is a reminder that our government can still stand up for the little guy,” American International Automobile Dealers Association President and CEO Cody Lusk said. “Auto dealerships are primarily small family businesses, and never should have been targeted by the CFPB, which has strayed from its mission of regulating massive Wall Street financial institutions. “Today's vote allows dealers to return to offering their customers more competitive financing choices and opportunities,” Lusk went on to say. The White House has issued a statement in support of the resolution, and President Trump is expected to sign it into law. “CBA members are committed to ensuring strong fair lending policies and practices are in place at their banks. However, the bureau’s 2013 Auto Bulletin was a backdoor attempt at rulemaking and failed to provide banks with a clear blueprint to ensure compliance,” Consumer Bankers Association president and CEO Richard Hunt said. “We thank Representative Lee Zeldin (R-N.Y.) for leading the effort in the House and Speaker Paul Ryan for bringing the resolution to the House floor for a vote. We also thank Senators Jerry Moran (R-Kan.), Pat Toomey (R-Penn.) and Majority Leader Mitch McConnell for their efforts in the Senate. We encourage President Trump to sign this resolution,” Hunt went on to say.